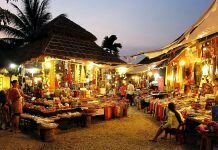 It is the fact that you may not be impressed with Kampot town at the first sight. Located in southern Cambodia, this is a quiet little town with the big streets and ruined buildings. Once dubbed the “ghost town” of Cambodia, Bokor Hill gives visitors the impression of a desolate beauty with the old French buildings and the ruins hidden in the fog. 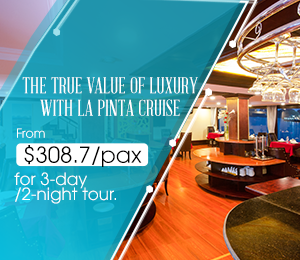 Sihanouville is considered as the “Maldives” of Cambodia with exotic beaches, pristine islands and luxury beach resorts. There are a lot of beautiful beaches in Sihanoukville you can visit, each beach has ít own beauty and unique features. Cambodia is known as the country of pagoda with more than 90% of its population being Buddhists. Therefore, it would be a great mistake if you travel Cambodia without visiting the famous temples. If you want to discover magnificent pagodas, monuments as well as learn more about Cambodian’s history and architecture, Siem Reap is the best place for you. Here is the top 10 the most well-known temples in Siem Reap you should not miss. “Coastal city”, “seaport cluster” and “new tourist destination” are the phrases used to describe Sihanoukville - the most famous coastal city of Cambodia. The stunning beaches with white sandy, warm water combined with fresh atmosphere make Sihanoukville becoming an ideal destination for tourist to relax and avoid the heat in the summer. Cambodia is not only famous for stunning Angkor temple complex but also for pristine and amazing islands such as Koh Rong, Koh Rong Samloem, Koh Thmei, etc. Cambodia is famous for a many ancient temples with typical Khmer architecture. 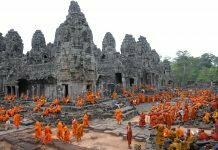 Visiting to Cambodia, you must visit top 10 temples below. Cambodia is one of the most visited destinations in Southeast Asia. 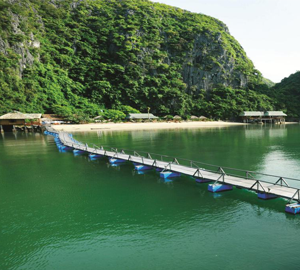 Visiting this country, you will have chance to admire the great scenery with ancient temple complex like Angkor Wat or stunning beaches like Sokha, Otres beach, etc that nowhere else can find. If you are planning to travel Cambodia in this summer, here are some suggestions for you. Cambodia is an impressive country with many ancient temples, beautiful natural scenery and pristine beaches which you have to take a lot of time to explore. 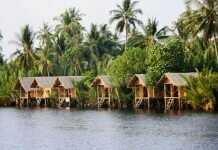 In this article, we will introduce to you top 10 must-visit tourist destinations while travelling Cambodia. With the detailed itinerary for 5 days 4 nights below, hopefully your trip in Cambodia will be more convenient and memorable. If you are going to Siem Reap for traveling or even working, our guides to the most popular luxury hotels below will help you choose the best accommodation to stay. Although Cambodia is not a shopping paradise of Asia like some other countries such as Singapore, Thailand,… traveling to the capital Phnom Penh, visitors will have chance to buy a lot of high-quality items at reasonable price.